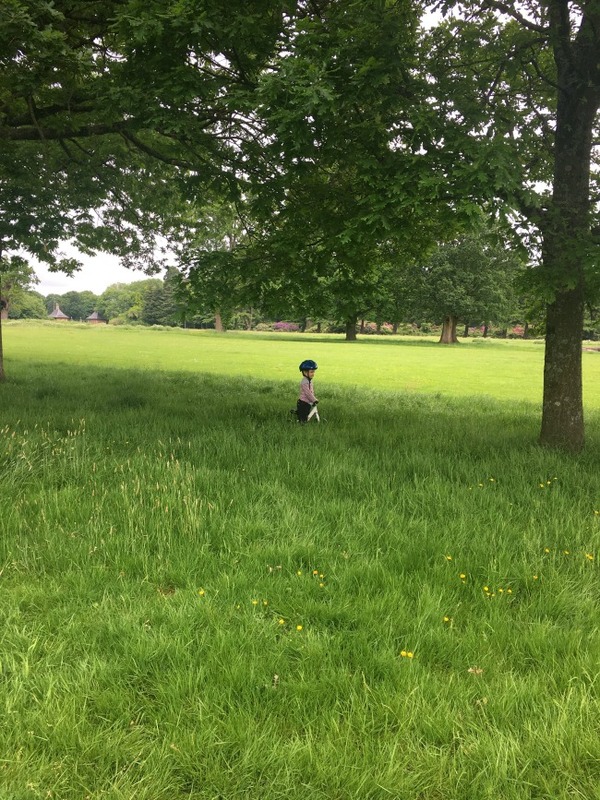 It was a very short week for us, just two days due to the bank holiday and the disruption being caused by the Champions League final taking place in Cardiff. Bears Mummy works in the town centre and travel would have been difficult for her and Bears Daddy so they took two days off and went to visit Grandad Roddy in West Wales. 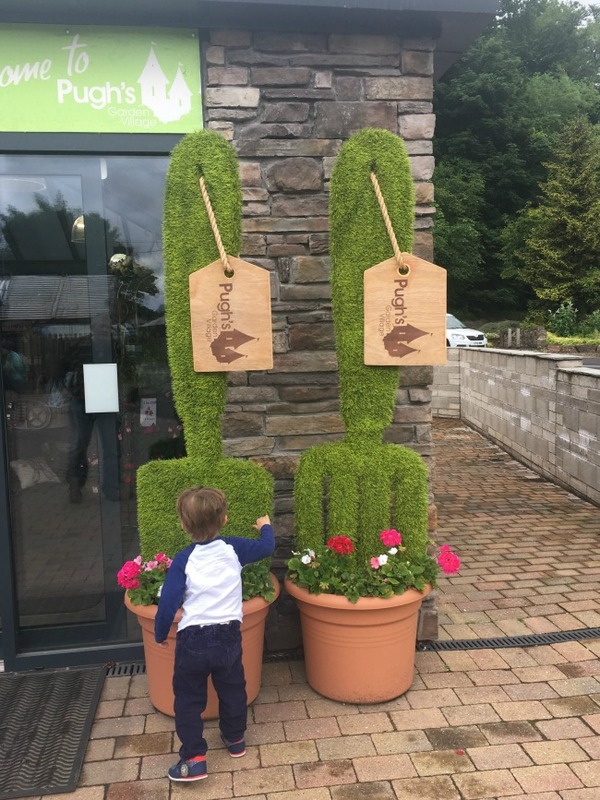 On Tuesday we visited Pughs Garden Centre. I'm searching for a garden bench and not having any luck. I am so surprised at the lack of choice everywhere. I want to sit on one before I buy it so don't really want to get one off the internet. Anyway, outside were a giant garden fork and spade. I thought they were great and so did Bear. 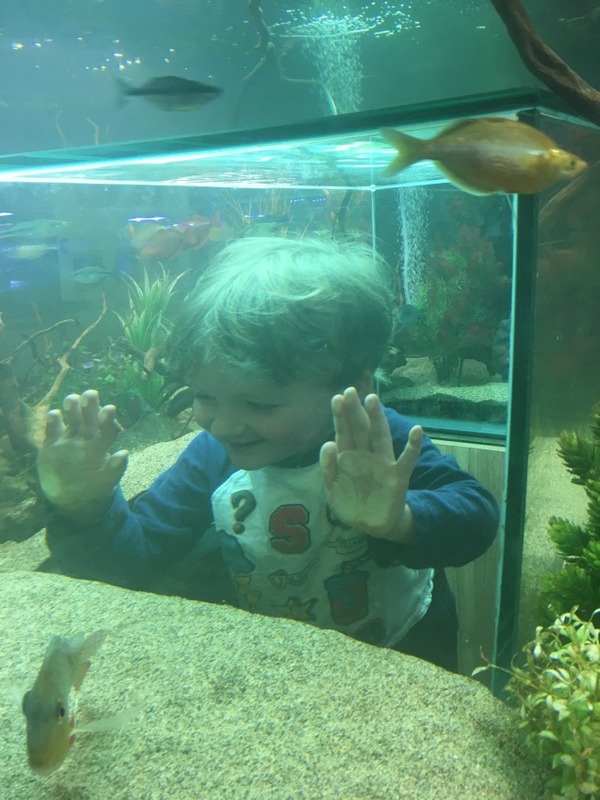 We didn't find what we wanted and were leaving when Bear asked to see the fish. We have only been here with him once before, and that was months ago. His memory is amazing. We had a look at the fish, threw a copper coin into the fountain and dashed off to Castell Coch. We have a Cadw subscription so it's free and right around the corner from the garden centre. This is a great fish tank with a bit that little ones can stand in to be inside the tank. Bear was full of energy and ran around like a mad thing, I didn't get many decent photos as he was so fast and the lighting was poor. It was also very busy being half term so difficult to take photo without other children in the frame. Only just managed to catch him. 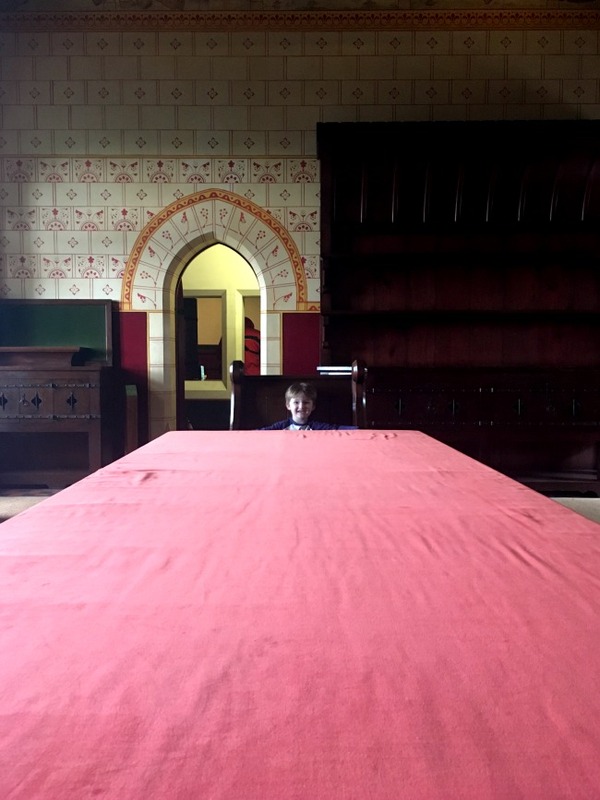 I did get him to sit opposite me on this huge table for a second though! Gardeners were strimming the grass outside the castle and it was very noisy. Bear explained to me that the girl was upset by the noise. "No, it's very loud!" he said with a little smile. Bear arrives early in the mornings in his PJ's. He likes to go upstairs and clean his teeth with Grandad. This involves him climbing on the bed and turning on the bedside lights. 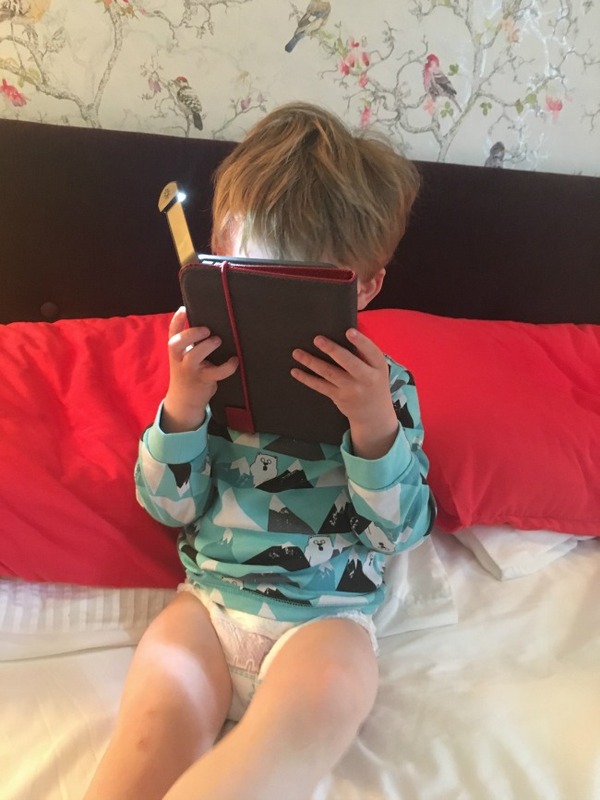 On Thursday he climbed onto the bed, took my Kindle and with the light on and "read" my book. He just says random words but always starts with those closest to him. We had planned to go to the beach but the weather was wet and grey and so we returned to our local National Trust property, Tredegar Park. There is a house and gardens to explore and a huge park. Bear can ride his bike around the park and there's also a playground with swings and slides. Even though we visit often (we have NT membership too) we found a new path which leads through the woods. 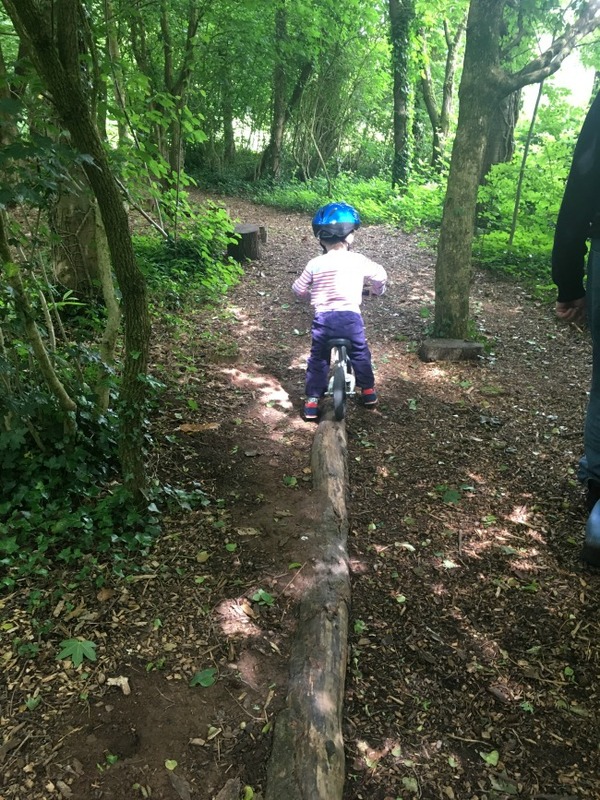 There is a trail of stepping stones and laid down logs that Bear insisted on riding over on his bike. He did really well and didn't fall off at all. 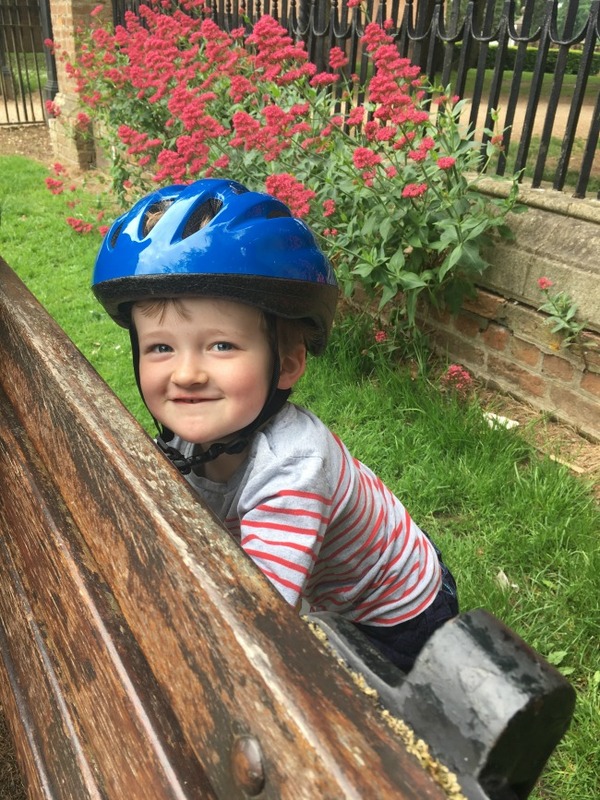 His balance is great, balance bikes are the best invention and this one only cost me £15 in Halfords. Bear kept hiding and surprising us with a loud "Boo!" 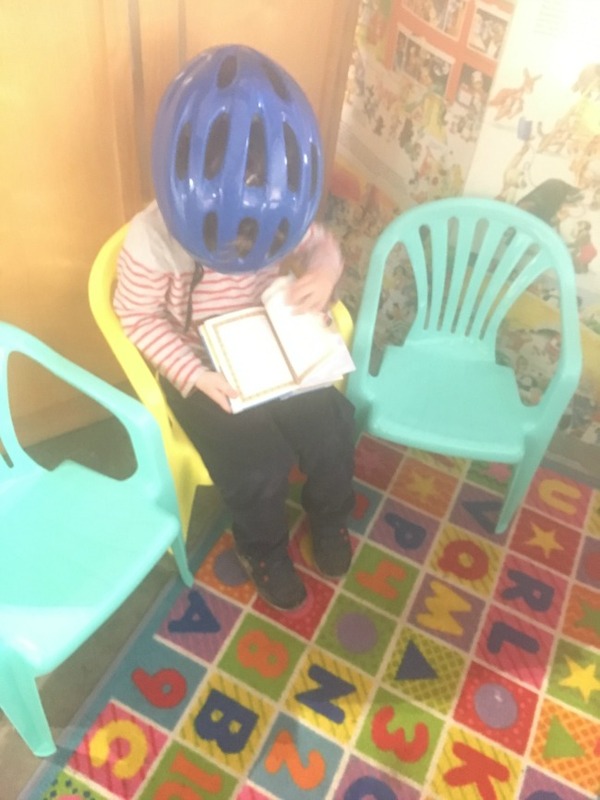 The cycle helmet does not come off even when he's not on his bike. He loves hats and his helmet. 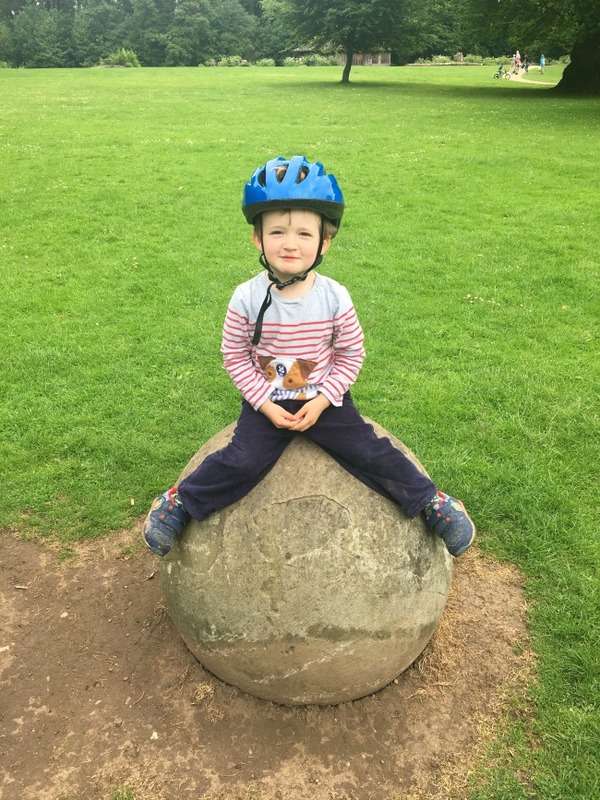 Posing on a stone ball, helmet firmly on head! We had a busy couple of days even though the weather wasn't brilliant it was at least warm. Then on Saturday I watched the TV coverage of the Champions League match played in Cardiff and afterwards turned over to the news channel. Breaking news came in of a major incident in London. 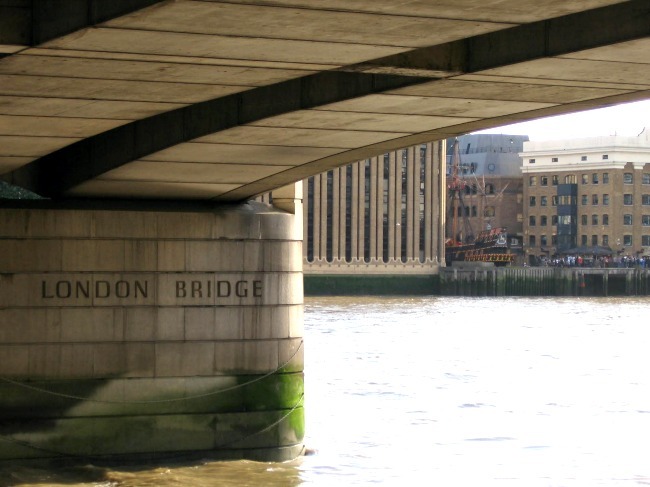 It turned out to be another terrorist attack this time at London Bridge and Borough Market. How can anyone do such an awful thing? Luckily Bear is too little to understand, if only we could protect him from all the evil in the world.